Hide this Dealer (Ankit Munka) Discover properties by other dealers by hiding those whom you have already spoken to. You won't see them in your searches further but you can unhide anytime later. Hide this Dealer (Govardhan Nopany) Discover properties by other dealers by hiding those whom you have already spoken to. You won't see them in your searches further but you can unhide anytime later. Hide this Dealer (Debankur) Discover properties by other dealers by hiding those whom you have already spoken to. You won't see them in your searches further but you can unhide anytime later. Silver Spring in E M Bypass, Kolkata East by Bengal Silver Spring and Kolkata Municipal Corp is a residential project. 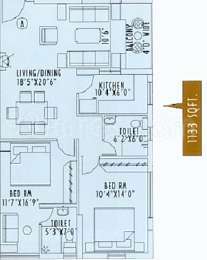 The size of the Apartment ranges in between 1133.0 sq.ft. and 3588.0 sq.ft. Silver Spring price ranges from 1.00 Cr to 4.25 Cr. Silver Spring offers facilities such as Gymnasium and Lift. Bank loan approved from Tata Capital. 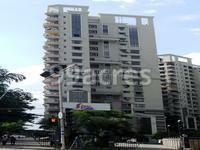 It is a ready to move project with possession offered in Aug, 2006. The project is spread over a total area of 8.01 acres of land. Silver Spring has a total of 10 towers. The construction is of 18 floors. An accommodation of 520 units has been provided. Where is Silver Spring located? E M Bypass, a prime residential locality for house seekers in Kolkata East. What are sizes of apartments in Silver Spring? The apartment sizes in the project range from 1133.0 sqft to 3588.0 sqft. 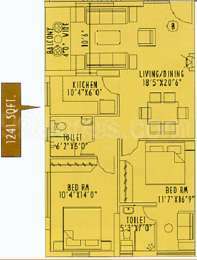 What is total area of 2 bhk in Silver Spring? The area of 2BHK units in the project varies from 1133.0 sqft to 1250.0 sqft. What is total area of 3 bhk in Silver Spring? 3 BHK units in the project are available in a size of 1500.0 sqft to 1764.0 sqft. What is total area of 4 bhk in Silver Spring? 4 BHK units in the project are available in a size of 2000.0 sqft to 3588.0 sqft. How much is the actual area of Silver Spring?The area of the project is 8.01 Acres. Standby generator for common areas, services and apartments (adequate for each unit).